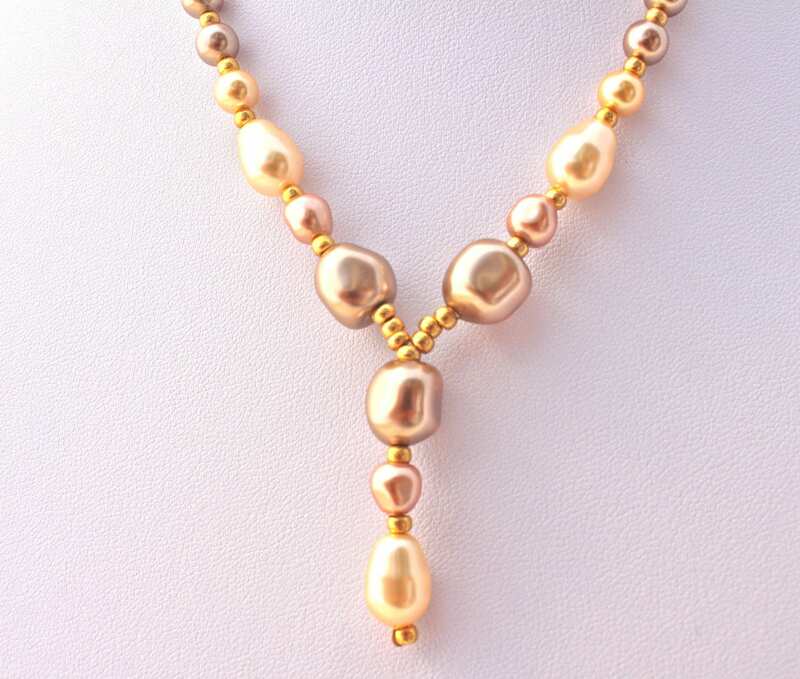 vintage necklace, wedding necklace with baroque swarovski pearls creamrose, bronze and gold. 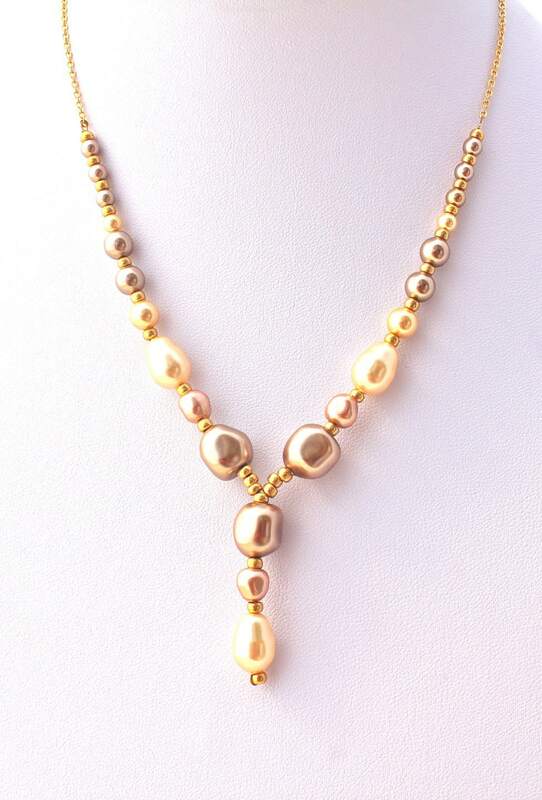 - baroque swarovski pearls which perfectly imitate freshwater gems : bronze, gold and creamrose. Their brightness and quality are incomparable and inalterable. It is a beautiful necklace for a wedding or other ceremonies, thanks the nice gradiation of colours and the baroque shape or the pearls. golden plated chain and findings.